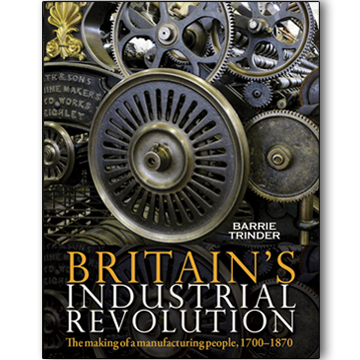 In this accessible, comprehensive, beautifully presented volume, renowned author, historian and teacher Barrie Trinder paints a graphic, true and above all human picture of a phenomenon of truly global importance: Britain’s Industrial Revolution. The Industrial Revolution changed the world. The images we all share – of steam engines and locomotives, of smoke and smog, of multi-storey textile mills, and of regiments of working men and women flooding out of factory gates at the end of their shifts – are so familiar that it is easy to forget just how momentous, profound and upsetting these innovations were at the time. This bold new industrial age brought untold wealth and material prosperity, but it could also be traumatic, dirty, dangerous, hard and cruel. The Industrial Revolution occurred first, and most dramatically, in Great Britain. The earliest true factories were built here, along with steam engines, iron ships and railways. New iron-making technologies were developed here. Mines were sunk to new depths. Inventive and entrepreneurial minds sought to mechanise production, to make things better, faster and more profitably. Engineers harnessed water and steam power as never before to drive all sorts of new machinery. Britons became a manufacturing people. New ways of living emerged. A flood of rural humanity poured into industrialising towns in search of work. People lived in the long shadows of the mills, chimneys and winding gears which in the opinion of many commentators now enslaved them. Patterns of life became tied to those of the machine. And the landscape changed forever too: rural valleys filled with water-powered workshops and mills; canals were cut through fields, and along their banks sprang up yet more factories; in towns the air was thick with acrid smoke belching from scores of chimneys. Towns sprawled, production boomed, and British manufactured goods dominated world trade. This important new book endeavours to explain the true nature of the Industrial Revolution in every part of the British Isles, including Scotland and Ireland. Prominent, of course, are those districts which witnessed the greatest economic and social change, such as Manchester, Birmingham, the Ironbridge Gorge, Leeds, South Wales, the Central Belt of Scotland, and the East End of London. Yet it also shows how even the sleepiest of sleepy hollows could be affected by industrial development, as in the availability of coal and iron, cheaper consumer goods, and the transformation of transport services. The Industrial Revolution affected everyone. The book is in three main parts: Part I looks at enabling technologies such as energy, machine making and transport; Part II deals with manufacturing industry itself; and Part III looks at industry and society in the booming new towns of the age. This is no dry economic tome. It does not dwell on abstract theories about why the Industrial Revolution occurred in Britain before anywhere else. Instead, it focuses on the reality of what actually happened, where, when and how. Its authenticity comes from describing real people, places and experiences in every part of the country. Barrie Trinder has gained an impressive depth and breadth of knowledge of the Industrial Revolution in Great Britain and Ireland during a teaching career of more than forty years. For several years he lived in the Black Country, and spent four decades in Shropshire, during which time his research on Coalbrookdale and the Ironbridge Gorge won him international recognition. He has written about many of the most celebrated sites of the Industrial Revolution period, and has contributed substantially to nomination documents for World Heritage designation for three of them. As an active member of TICCIH (The International Congress for the Conservation of the Industrial Heritage) and as editor of the Blackwell Encyclopedia of Industrial Archaeology, he became acquainted with industrial history in many European countries and in North America. As an urban historian he has studied towns throughout England and Wales. During the last decade his published works have included studies of the probate inventories of people who lived in the Severn Gorge; the Upper Severn Navigation; the suburbs of Shrewsbury; twentieth-century industrial archaeology; and Victorian market-town lodging-houses. His career included fiffteen years at the Ironbridge Institute and five years at the University of Northampton. He is now a freelance writer and consultant and lives in Olney, Buckinghamshire. Britain’s Industrial Revolution is a magisterial achievement. Compendious yet sharply incisive, expert yet wise, academically exact yet visually compelling, and at times almost poetic. 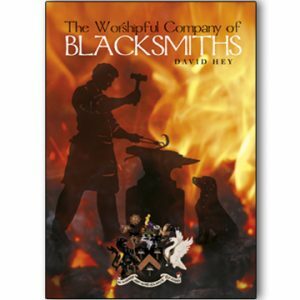 … There has been no other book like it, and it will be the standard bearer for a generation. An authoritative, comprehensive and accessible study from the hand of a master. 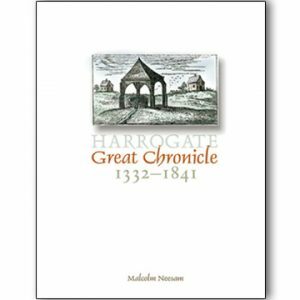 A valuable, accessible and up-to-date overview achieved through an impressive union of local examples and wide historical insights. A monumental study of the industrial glory that we have now lost. A compelling account. Renowned historian Barrie Trinder offers a magisterial and comprehensive view, sweeping in its perspectives yet coloured by a wealth of rich and vivid detail. 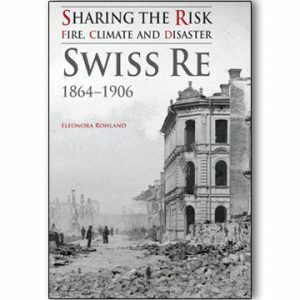 … This new book brings – as no other – the Industrial Revolution into focus. Any book described in such phrases as ‘it changed the world’, ‘it changed our way of living’, ‘this revolution affected everyone’ has to be something very special and author Barrie Trinder’s book is certainly that. Reading this very comprehensive account of the Industrial Revolution enables us to appreciate how this development really did affect our way of life… [and] Barrie Trinder has painted a truly human story.